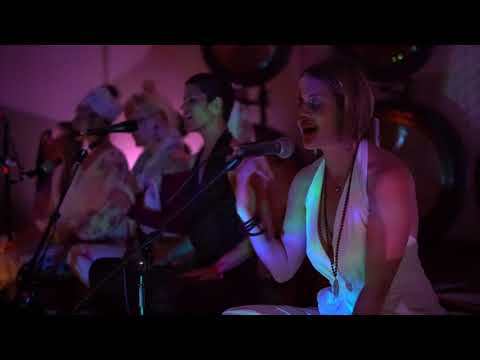 Sonic Devas Sound Meditation at ShaktiFest 2018. A celebration of the Divine Feminine. Lynda Arnold is a certified Sound Healer, Music Educator, Vocalist & Multi-Instrumentalist, Composer and seasoned Performer on a lifelong mission to build healthy communities through the power of sound and music. She offers sound healing workshops, private sound baths and singing for wellness sessions in Long Beach and greater LA area. Her intention is to provide a gateway for people to reduce stress, transform consciousness and heal through sound and meditation. She received a Certificate in ‘Sound, Voice and Music Healing’ at the California Institute of Integral Studies in San Francisco in 2010, has multiple music degrees and over 20 years of music education and performing experience.